Mephedrone has become one of the most common illegal drugs offered to students at university or college. It has recently featured a great deal in the media after leading to the deaths of a number of people. Mephedrone was not made illegal in the UK until 2010. It is still prevalent, being considered a ‘party drug’. The negative effects of this substance mean it’s best to completely avoid it. Mephedrone belongs to a class of drugs known as stimulants; it is very similar to amphetamine. It stimulates the central nervous system, giving a feeling of having more energy and being more alert. Interesting Fact: Teeth grinding is a common effect of Mephedrone which can slowly degrade your mouth’s health and appearance. 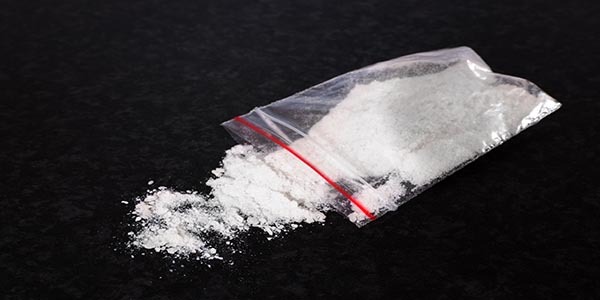 Why Do Students Use Mephedrone? The most common reason why students take Mephedrone is being able to party all night long. They may also enjoy the experience of being full of energy and very alert. This drug can also suppress appetite, making it attractive to those who want to lose weight. Another reason why individuals might want to take this drug is that it can make them more sociable than usual. Also, users of mephedrone are often able to drink all night without feeling drunk. Interesting Fact: The deaths of teenagers thought to be caused by Mephedrone is what led to the full scale ban on the drug in the UK. Many people have died after taking this drug – often when they mixed mephedrone with alcohol. It can cause severe nosebleeds. It can cause teeth and gum problems because those taking this drug will usually gnash their teeth. This drug is often mixed with something else and these other compounds can also be dangerous. One of the problems with this type of club drug is that people just want to dance all the time – this can mean that they become dehydrated which leads to heat exhaustion and this can be fatal. It is believed to have a damaging effect on the heart and lungs. People who take this drug regularly have a high risk of developing an addiction – this can mean that they become caught in a downward spiral with a risk of losing everything. This drug can cause people to become very paranoid, and they may even become violent as a result. It leads to deterioration in mental health. It can cause people to experience long-term sleep problems. It can cause rapid weight loss and malnutrition. Some people react badly to the drug and they become panicked and terrified. If students become addicted to Mephedrone then it really can destroy their life. It is vital, therefore, that they get help to end the problem as soon as possible. One option is to try some fellowship groups. Those struggling to break away from this addiction though, will usually benefit greatly from spending some time in rehab. Read more about children and students with addictions in our student addiction guide.